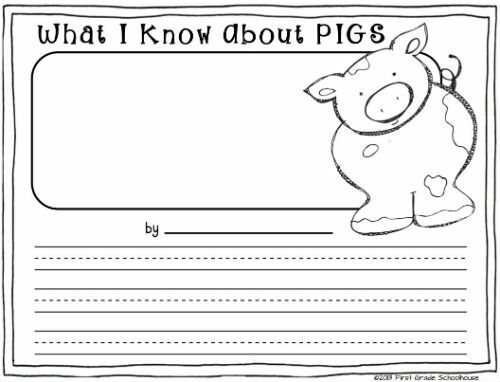 My class is reading, learning, and writing about pigs this week, since we're reading the Laura Numeroff book, If You Give a Pig a Pancake. I created a packet of writing printables about pigs that include non-fiction writing. 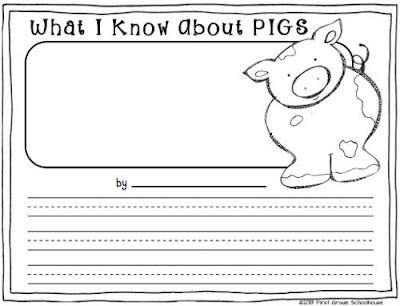 These are great for a unit on farm animals. 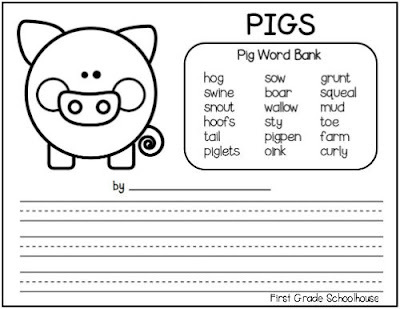 You can download the writing printables HERE. I am a first grade teacher who thoroughly enjoys teaching and learning. 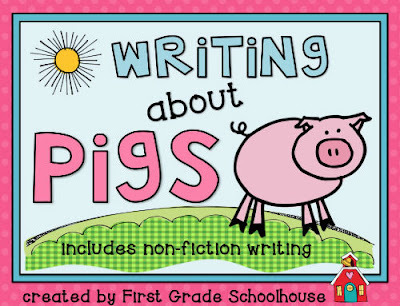 I love sharing ideas with other teachers. Spending time with family, friends, and two adorable pugs are my favorite pastimes. Some of my interests are quilting, gardening, reading, and a bit of cooking.